The three Rojano-Garcia brothers grew up enthralled with Mexican "Lucha Libre" professional wrestling. "A lot of people grew up here in the states watching Superman, Batman," says Jose Luis Rojano-Garcia. "We grew up in Mexico. We have Luchadores." 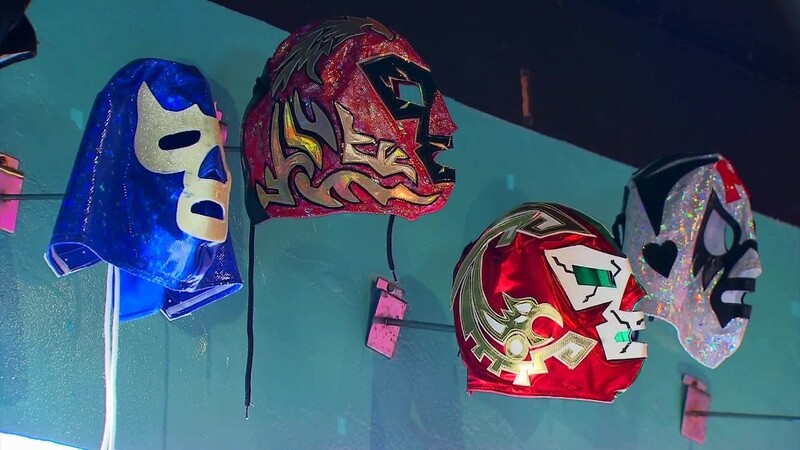 Their heroes had wild names like "The Blue Demon," "Toxic" and "El Santo." More than 20 years later, their colorful heroes inspired a taco joint -- "Lucha Libre Taco Shop" in San Diego. Customers have been slamming down tacos and burritos there since 2008. "We felt like all of the Mexican restaurants always do the same thing -- like the mariachis, serapes, sombreros," says Jose. "We wanted to grab something from Mexican culture that really isn't put out there as much." Every inch of the restaurant is decorated with Lucha Libre memorabilia: glittery wrestling masks, huge photographs of famous Luchadores, and to top it off, a "Champ's Ring," a real wrestling ring where you place your order on a hanging announcer's mic. The menu includes "tap out taco," "smack down quesadilla" and "knock out fries." The restaurant has a big social media presence, with more than 8,000 followers on Instagram. Customers post pictures of themselves in the "Champ's Ring" and at the "Champions Booth" adorned with gold upholstery that Garcia's father made. The restaurant started as a side project. Jose was already doing catering. Younger brother Diego was a recording engineer. The eldest, Maurilio, worked for the U.S. State Department. It's a true family business. Diego's girlfriend is the graphics designer. Their mother came up with the salsa recipes (there are at least six kinds), and Diego creates unique decor, like a trash can made from an old TV. The face of Ron Burgundy (Will Ferrell) from the movie "Anchorman" is plastered on the set. 1960's-era Lucha Libre movies are projected onto the wall. 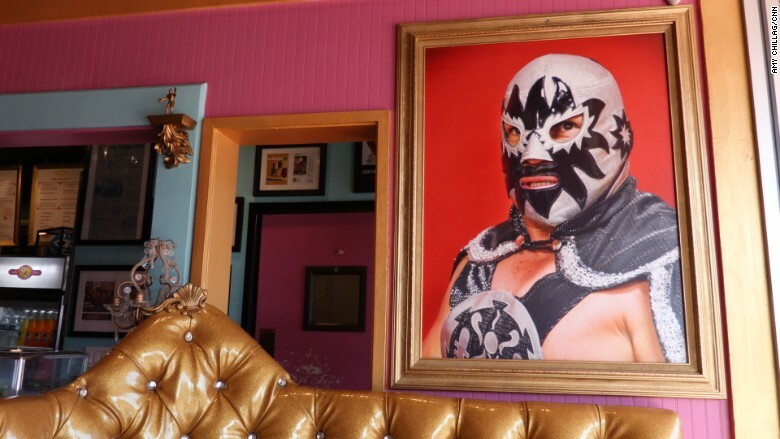 Photographs of famous "Luchadores" or Mexican wrestlers decorate this taco shop that has a Lucha Libre wrestling theme. Wrestlers eat there for free. Customers clad in wrestling masks get a 15 percent discount. "It's like a discount card, only you have to wear it," says Diego. Professional wrestlers, including guys from the WWF, come in regularly to grab a burrito. Lucha Libre wrestlers aren't suppose to show their faces, hence the masks. "It's a big taboo," says Diego. One day a "big guy" walked in and stared at the wrestler memorabilia including a giant photograph of his masked self. "He just slid very delicately his business card: 'Blue Demon: The Living Legend,' " Diego said. The restaurant is a big success, winning the title "Best Burrito in San Diego" eight times. Jose says the taco shop brought in three million dollars in gross revenue last year. That's a lot of burritos. They had so much business, the brothers opened a second Lucha Libre Taco Shop a few miles away in 2015. After just one year, Jose says, they are now turning a profit there as well. "We want them to come in for the gimmick and then stay for the food," says Jose.